Dubai Investment Development Agency (Dubai FDI), an agency of the Department of Economic Development (DED) in Dubai, along with Dubai Exports, the export promotion agency of DED, will go on a two-week tour of the US on the 11th of March 2017 as part of strengthening the emirate’s engagement with major economies to reinvigorate global trade flows and foreign investment. The mission, which is supported by the Trade & Commercial Office at the UAE Embassy in Washington, DC and the US-UAE Business Council, will also include representatives from the Dubai Multi Commodities Centre (DMCC), Dubai Film & Television Commission (DFTC), Dubai Silicon Oasis Authority, Dubai South, Dubai Tourism, Tecom, and the Emirates Group. The delegation will tour four US cities – Los Angeles and San Diego in the state of California, Austin (Texas), and Miami (Florida) –discussing new and emerging opportunities with government officials and business leaders. While in Florida, the delegation will also meet businesses and investors in Fort Lauderdale. Members of the delegation will share the Dubai success story and Dubai’s interest in developing mutually beneficial partnerships across a series of presentations, roundtable discussions, and one-on-one meetings in the four cities. Fahad Al Gergawi, CEO of Dubai FDI, said the delegation would seek to extend the strong relations between the UAE and US through more win-win partnerships in sectors where knowledge and innovation are critical. “Our FDI Monitor last year showed US as one of the top five sources of FDI into Dubai. 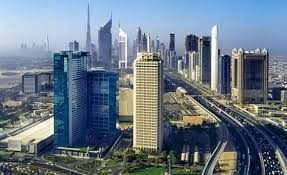 With innovation the prime focus, Dubai is seeking partners from all over the world capable of bringing in new financial and intellectual capital that can complement the city’s position as a pivotal hub in global value chains, and create further opportunities for people around the world,” Al Gergawi said. “A progressive vision and future foresight agenda along with the emirate’s efficient links to the promising markets across the Middle East, North Africa, Indian Subcontinent and CIS presents an attractive proposition for the global investor,” added Al Gergawi. “Continued investments in the logistics and transport infrastructure has positioned Dubai as the most efficient distribution hub for the East and West. Enterprises looking at new markets can utilise the unique connectivity, local expertise and emphasis on ease of doing business in Dubai to export their products far and wide,” said Engineer Saed Al Awadi, CEO of Dubai Exports. UAE-US trade grew 1.04% year-on-year in 2016 and crossed AED 94 billion in spite of global headwinds. Meanwhile, UAE exports to the US was over AED 12.3 billion in 2016, an increase of 36.03% from the previous year. The UAE has consistently the top export destination for US across the entire Middle East & North Africa (MENA) region for eight years now. Representatives from specific industry sectors are being invited in each of the host cities to draw on their expertise and growth ambitions. Aerospace & aviation; film & digital media; life sciences & healthcare; advanced energy & cleantech; information technology & cyber security; advanced manufacturing; logistics; entertainment & theme parks; creative industries; education; tourism and professional services are among the priority sectors for the delegation. Dubai Investment Development Agency (DUBAI FDI) is an agency of the Department of Economic Development (DED) – Government of Dubai. 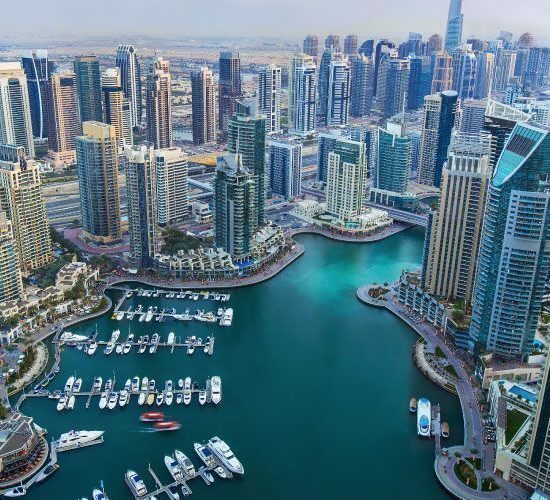 DUBAI FDI develops, promotes and supports Foreign Direct Investment (FDI) opportunities to facilitate investors’ success, growth and expansion in Dubai, the United Arab Emirates and across regional and international markets. Dubai Exports, an agency of the Dubai Department of Economic Development, Government of Dubai, commenced operations in 2007. As part of the Economic Development Department of Dubai, its mandate is to facilitate trade from Dubai and establish itself as a world-class export development and promotion body by creating an enabling environment for Dubai’s exporters.